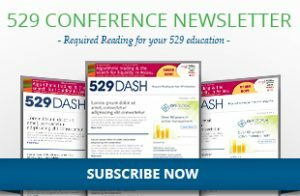 529 Dash is an e-newsletter, required reading for your 529 education. The industry’s leading weekly e-mail newsletter addressing the specific needs and concerns of advisors who sell and service families and institutions in the college financial planning process by providing industry relevant news, as well as the latest trends from our proprietary research. For assistance with your subscription, please contact us.